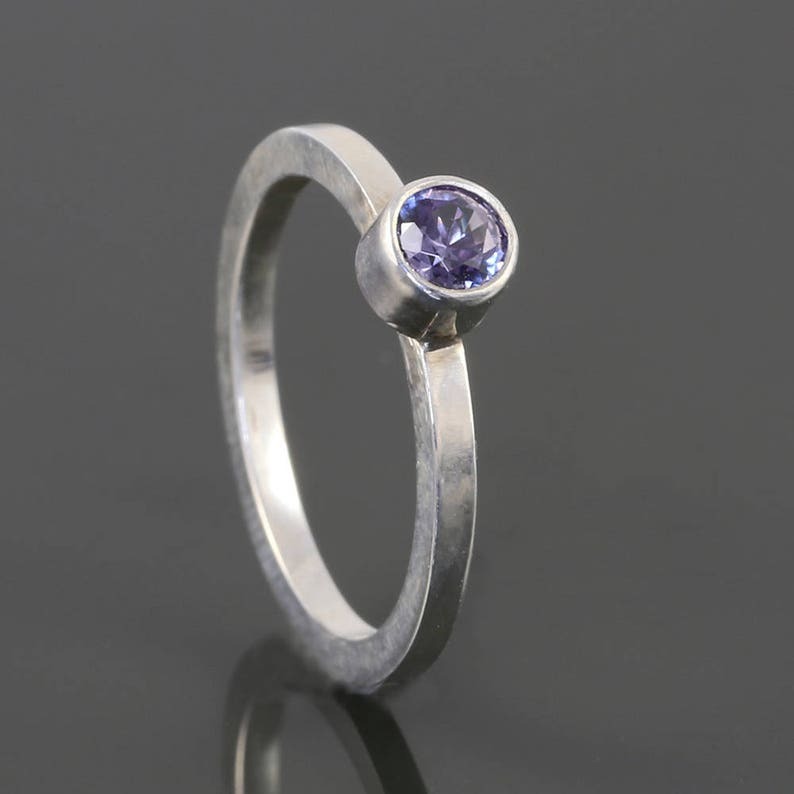 This stacking ring is made with all sterling silver and a simulated alexandrite gemstone. The simulated stone is a lab-created corundum that is blue under natural sunlight, changing to purple under incandescent light. The gemstone measures approximately 4mm across, and I've tube-set it in sterling silver. The ring band measures 1.6mm thick and 1.6mm wide. Alexandrite is June's birthstone, making this ring an excellent June birthday gift. Alexandrite Stacking Ring. Sterling Silver. June Birthstone. Choose Natural or Simulated Gemstone. Made to Order. Birthstone Teardrop Pendant. Sterling Silver Necklace. Lab-Created Stone. Flush Setting. Simulated Gemstone. Custom Jewelry. Gift for Her. Skinny Stacking Ring. Square Cross Section. Sterling Silver. Made to Order. Handmade Stackable Ring. Skinny Stacking Ring. Round Cross Section. Sterling Silver. Thin Silver Ring. Stackable Ring. Skinny Stacking Ring. Beaded Pattern. Sterling Silver. Made to Order. Thin Bead Ring. Stackable Ring. Dot Ring.